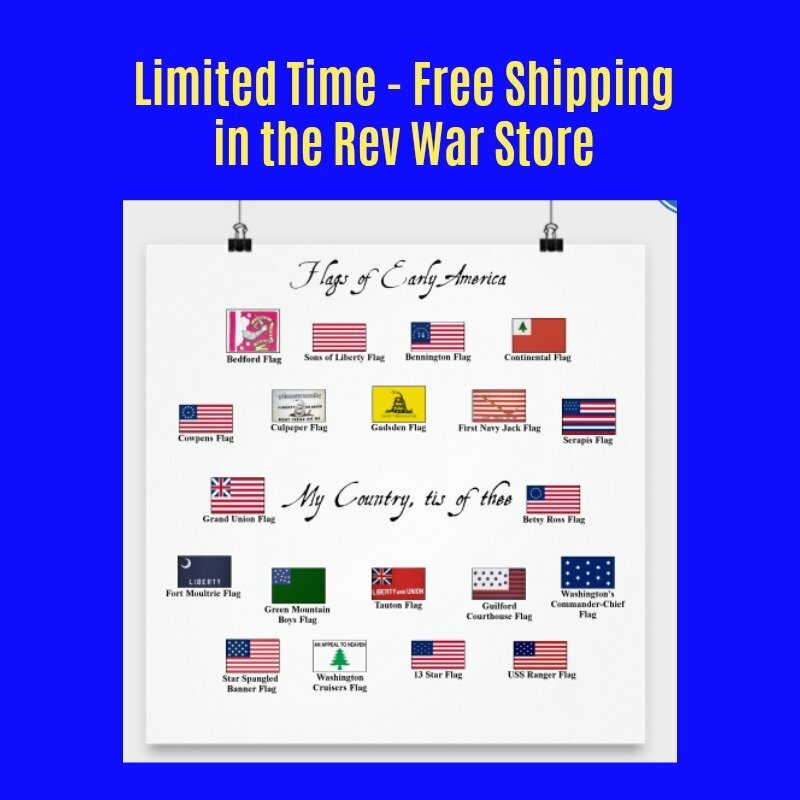 There are many Revolutionary War Causes, including a series of British acts of Parliament such as the Sugar Act, the Stamp Act and the Townsend Acts. The American colonists had become increasingly angered at their homeland over a period of many decades. The colonists became especially alarmed at British taxation programs, not only because they greatly hampered colonial economies, but also because they believed the acts of Parliament were consistently violating their rights as British citizens. 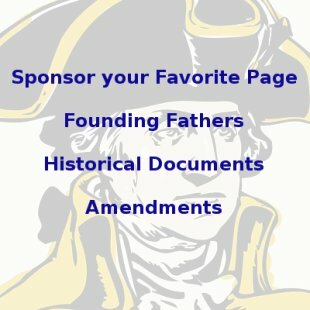 This page gives a brief synopsis of each of the main events and causes of the Revolutionary War, with links to more in-depth articles about each one. The articles are in chronological order so you can follow along and understand the whole timeline of events. The Revolutionary War Causes listed here go through the time of the Boston Massacre, with further causes to come. The Molasses Act of 1733 was one of a series of acts passed by the British Parliament meant to control colonial trade and keep all trade profits within the British Empire. 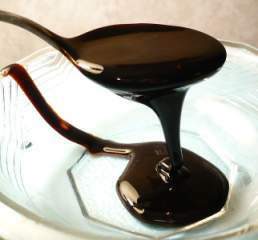 The trade of molasses was central to the colonial economy and the act heavily taxed the import of French molasses in order to force the colonists to buy British molasses instead. This created a huge smuggling industry in the colonies, causing the colonists to create ingenious ways of avoiding British tax collectors and agents. The smuggling industry became so large that an entire economy, separate from British law was developing. This caused the colonists to develop a spirit of independence and self-reliance. They began to realize that they were not dependent on England to meet their needs. The first shots would not be fired for another 40 years, but the attitude that developed as a result of the Molasses Act helped pave the way to the Revolutionary War. You can read about the Molasses Act here. 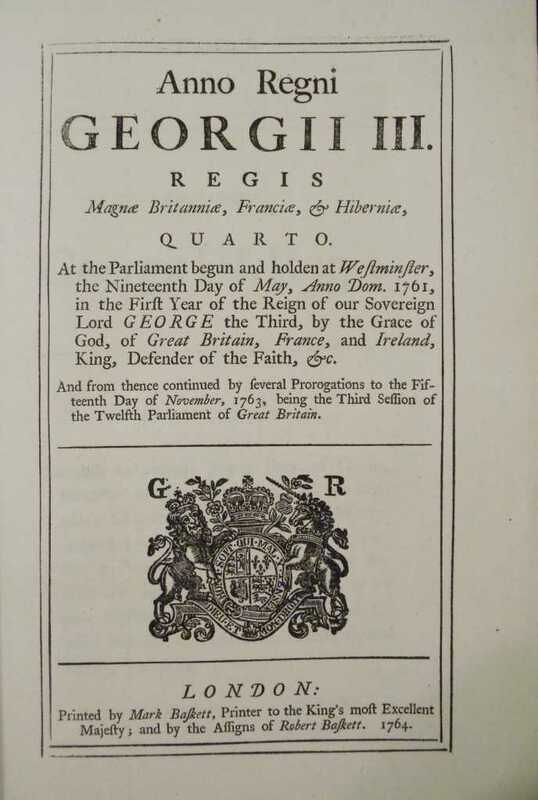 The Proclamation of 1763 was an effort of the British government to reduce conflict between the Indian population and colonial settlers in the vast new lands acquired by Great Britain at the end of the French and Indian War. It established a line down the crest of the Appalachian Mountains. 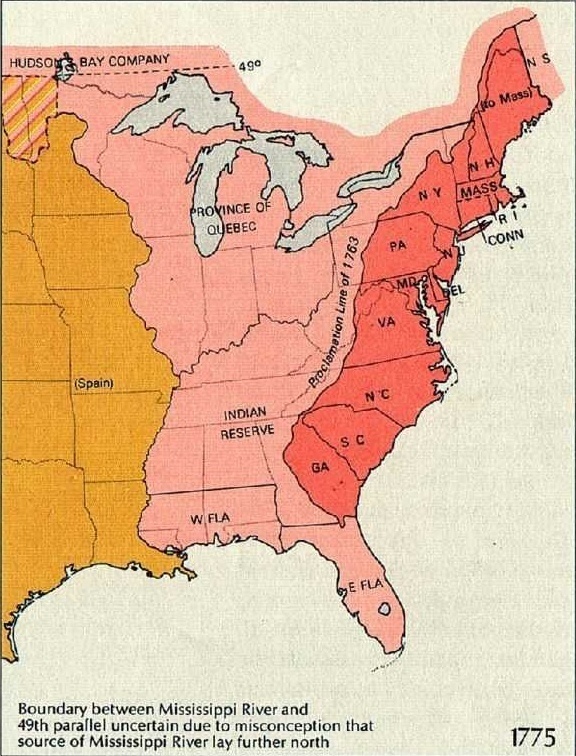 British settlers were allowed to live to the east of the line, while the western side was reserved for the local Indian tribes. The Act also had other ulterior purposes, such as to confine the colonists to the coastal areas, which were easier to govern and tax and to provide a place for the sons of the wealthy and connected to serve as officers in the military. The Act only served to enflame the colonists who wanted to settle the rich new territory for themselves. Anger at this act, along with many other acts of Parliament, contributed to the colonists eventual rebellion which culminated in the American Revolution. You can read more about the Proclamation of 1763 here. The Sugar Act of 1764 was passed by the British Parliament in order to raise revenue and reduce the national debt, which had grown substantially during the French and Indian War. The Sugar Act caused great damage to the colonial economy by increasing taxes on key goods and reducing foreign markets for colonial exports. In addition, the Act ordered the British navy to strictly enforce the Act by collecting taxes on all goods, including sugar and molasses. The Sugar Act actually lowered the tax on sugar and molasses, but the colonists were used to not paying any taxes for them because of years of smuggling and lax enforcement of trade laws by local British authorities. The Sugar Act also created new admiralty courts where violators were to be tried without the benefit of having a trial by jury. Colonists saw this as a violation of their rights as British citizens. As a result of all this, alarm began to spread through the colonies and the first signs of rioting and rebellion began to appear. You can learn about the Sugar Act here. 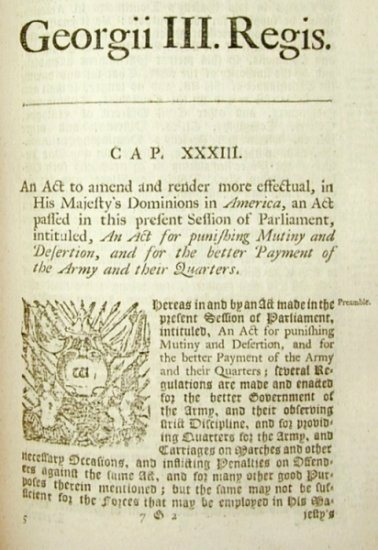 The Currency Act of 1764 was passed by Parliament to help it gain control over the colonial banking system which was in disarray because of an economic slump after the French and Indian War and many different printings of colonial currency. Any given bill might be worth something in Pennsylvania and nothing in Massachusetts. British merchants were reluctant to trade with the colonists because of the fluctuating values of these currencies. The worst result of the Act was the psychological impact it had on the colonists who realized control of their financial system was being completely removed from their own control and placed in the hands of Parliament. More and more colonists believed they were being forced to lay down their own needs and rights for the interests of merchants and bankers back in England. The Act created great anger toward Parliament in the colonies and, along with a series of acts of Parliament, eventually led to the American Revolution. You can learn more about the Currency Act here. 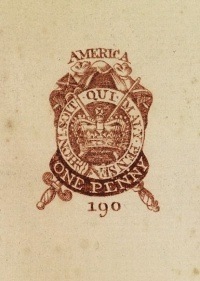 The Stamp Act of 1765 was the flashpoint that caused the growing anger of the colonists to finally cross over into full grown violence and rebellion against Great Britain. Parliament had been enacting a series of regulations and taxes and this one finally pushed the colonists over the top. The Stamp Act placed a small tax on all kinds of paper goods such as contracts, diplomas, newspapers, almanacs, deeds, warrants, shipping bills, calendars, etc. Nearly everyone was affected by the tax. The reason for the anger was that this was Parliament's first attempt to tax the colonists for daily transactions apart from international trade. Colonists saw this as squarely illegal because it violated their right as British citizens to only be taxed by their elected officials... and they had no elected officials in Parliament! They saw this as an atrocity and as stealing their right to govern themselves. The outbreak of violence and intimidation led all the stamp distributors to resign their positions and Parliament to eventually repeal the Act. You can learn more about the Stamp Act here. The Quartering Act of 1765 required the American colonists to house, feed and buy supplies for British troops in the colonies. The Act was Parliament's response to the colonists who began to refuse to pay for British troops after the end of the French and Indian War. The colonists rebelled against the Quartering Act because they didn't believe a standing army was necessary any longer after the end of the war and because they believed it was taxation without representation because they had no representatives in Parliament. The resistance became so extreme in New York state that Parliament passed another bill shutting down the colonial government until they agreed to pay for the troops. Eventually New York complied in part, but most of the other colonies never went along. You can learn more about the Quartering Act of 1765 here. The Declaratory Act was passed along with the repeal of the Stamp Act. It was necessary because many members of Parliament believed repealing the Stamp Act made them look weak and would encourage people to rebel and riot against Parliament to get their way. 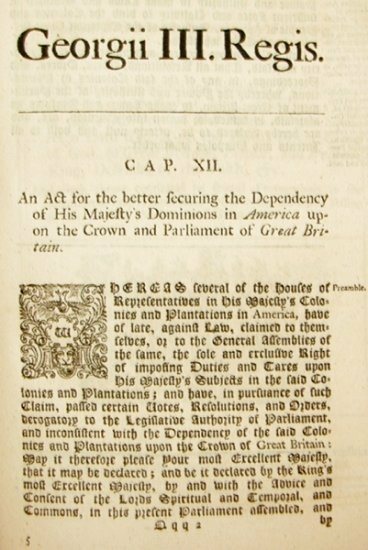 The Declaratory Act made a strong statement of Parliament's complete sovereignty over the colonies. It challenged the colonists two main assertions against the Stamp Act; First, that Parliament had no authority to tax them since they had no representatives in Parliament and, second, that Parliament had no authority to make any laws at all for the colonies, for the same reason. It showed Parliament's true colors and revealed that even though they repealed the Stamp Act, there would be many more taxes and unjust laws to come. You can learn more about the Declaratory Act here. 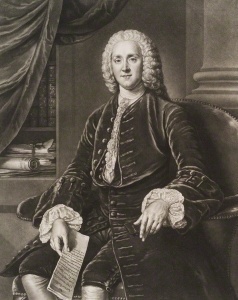 The Townshend Acts were a series of five acts passed by Parliament in 1767 and 1768. The acts resurrected hostilities in the colonies after a period of relative calm after the repeal of the Stamp Act by raising new taxes on paper, glass, lead, painters' colors and tea. 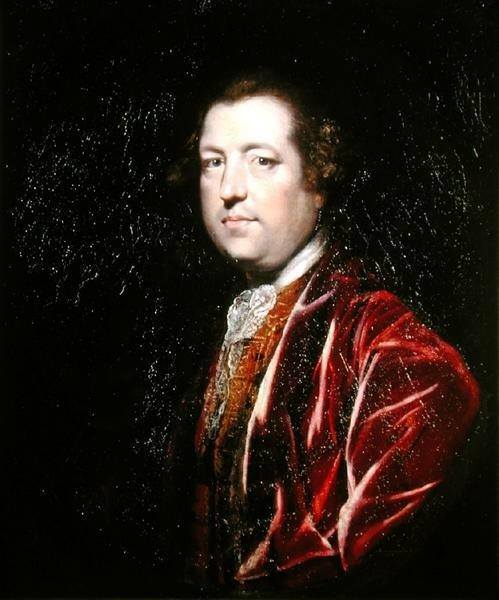 The Townshend Acts passed new taxes, which angered colonists because they had no representation in Parliament, but they also created a new regime of customs commissioners in the colonies to enforce customs laws, gave greater jurisdiction to royal naval courts to try accused violators, courts which were manned by Crown-appointed judges without the use of trials by jury and, the final outrage, shut down the New York Assembly until they agreed to comply with the Quartering Act of 1765. The five Townshend Acts are one of the keys to understanding the buildup to the American Revolution. They included the New York Restraining Act, the Revenue Act of 1767, the Commissioners of Customs Act, the Indemnity Act of 1767 and the Vice-Admiralty Court Act. You can learn more about the Townshend Acts here. 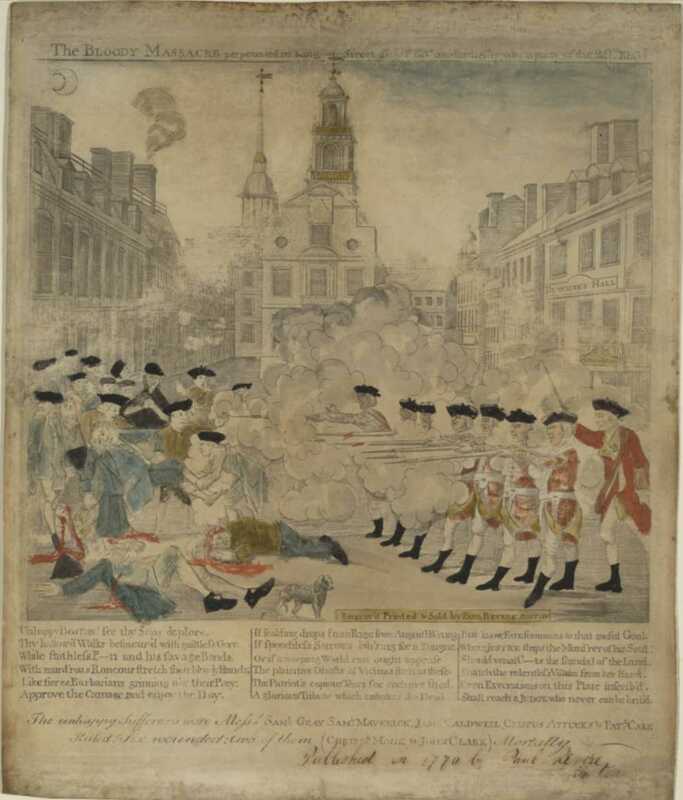 The Boston Massacre was the result of months of tension between British soldiers and Boston residents after soldiers were stationed there to help enforce the Townshend Acts. Bostonians resented having their town occupied by an army and frequently harassed the soldiers, calling them names such "Lobsterbacks" and "Bloodybacks" for their red uniforms. Soldiers often found themselves being pelted with garbage or rocks, spat upon and verbally abused. After several days of scuffling between soldiers and citizens, on March 5th, 1770, a teenager got in a verbal argument with a sentry at the Custom House who lost his temper, striking the boy. A crowd gathered to berate the soldier who called for reinforcements. Eight more soldiers came to his defense and fired on the crowd when they were attacked. In the end, eleven townspeople lay dead or wounded in the streets. Word quickly spread to the other colonies through the works of Paul Revere, Samuel Adams and others. The other colonists were as outraged as the people of Massachusetts who demanded justice from the law against the soldiers who fired on an unarmed crowd. The colony of Massachusetts tried them for murder, but only two were convicted of manslaughter, further hardening the colonists against Great Britain. Learn more about the Boston Massacre here, including some information you've undoubtedly never heard before! 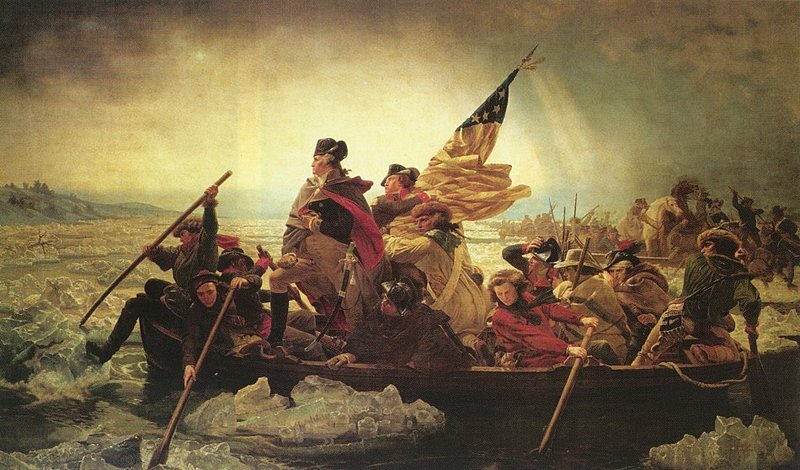 Many more articles about various Revolutionary War Causes, such as the Tea Act, the Boston Tea Party and the Coercive Acts, as well as various important groups and individuals associated with these events, are being prepared. 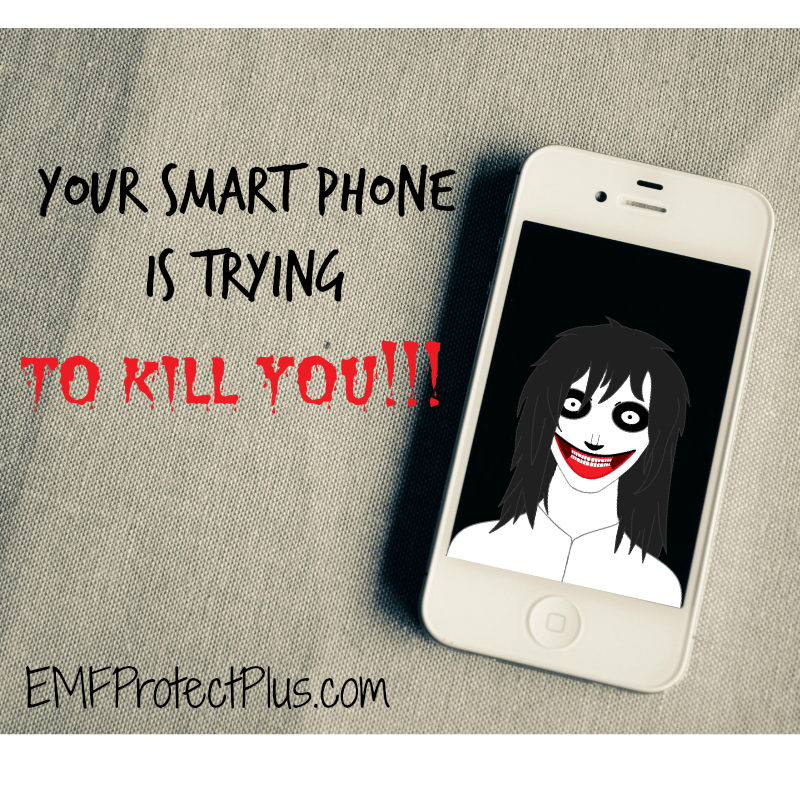 Check back from time to time and more articles will be posted.